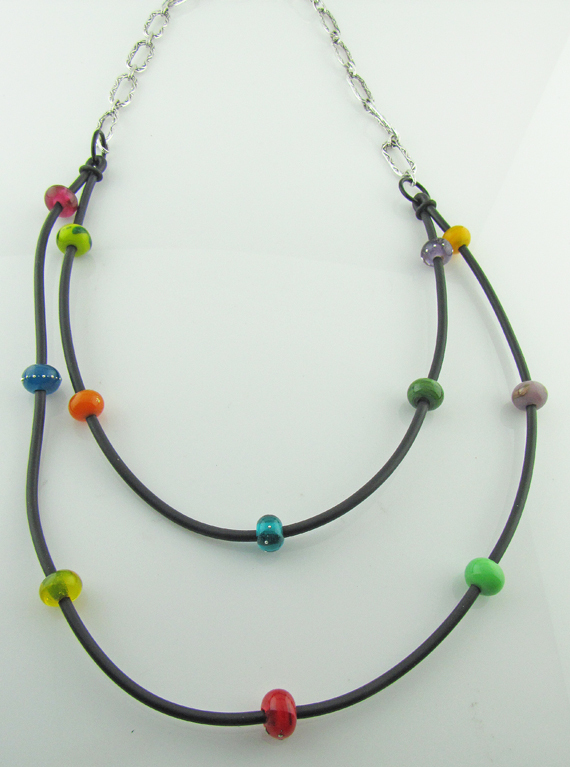 More new pieces for the cruise! 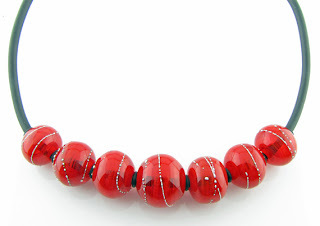 7 Red Hollow ball necklace! 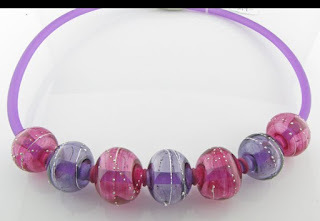 7 Purple/Hot pink hollow ball necklace! 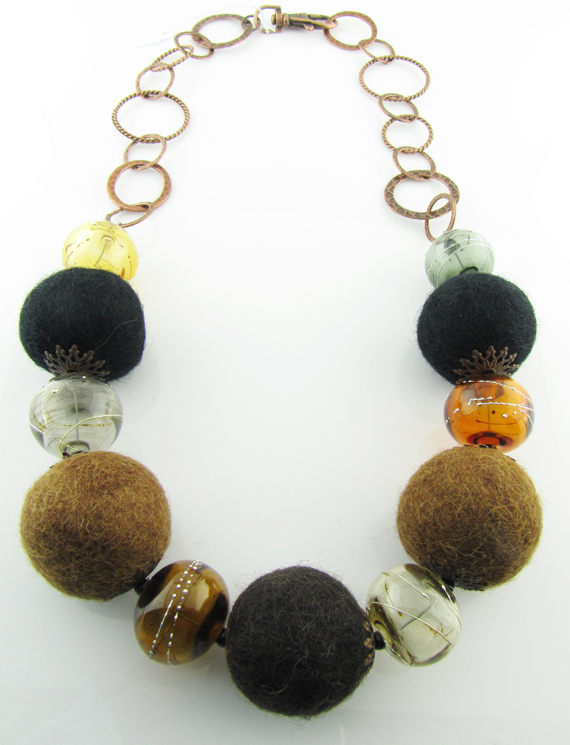 Brown hollow balls & felt necklace! 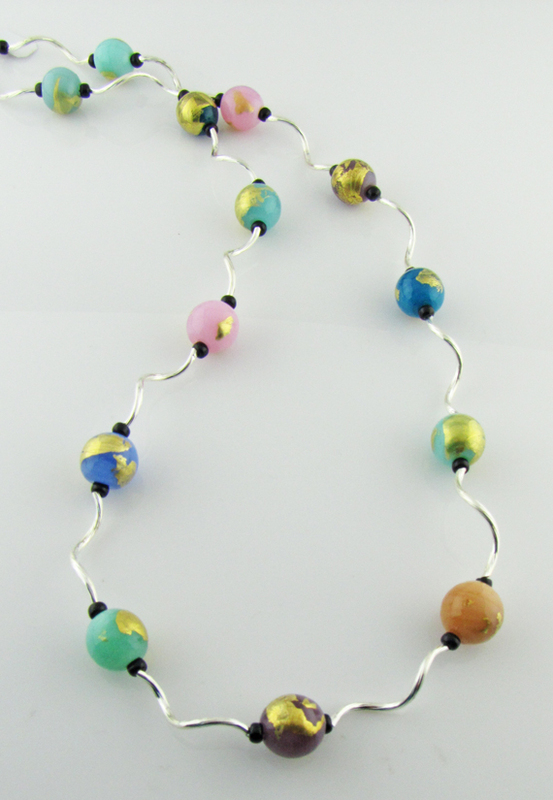 Squiggle necklace with gold foil beads!